Is Queen’s Bohemian Rhapsody having healing powers? 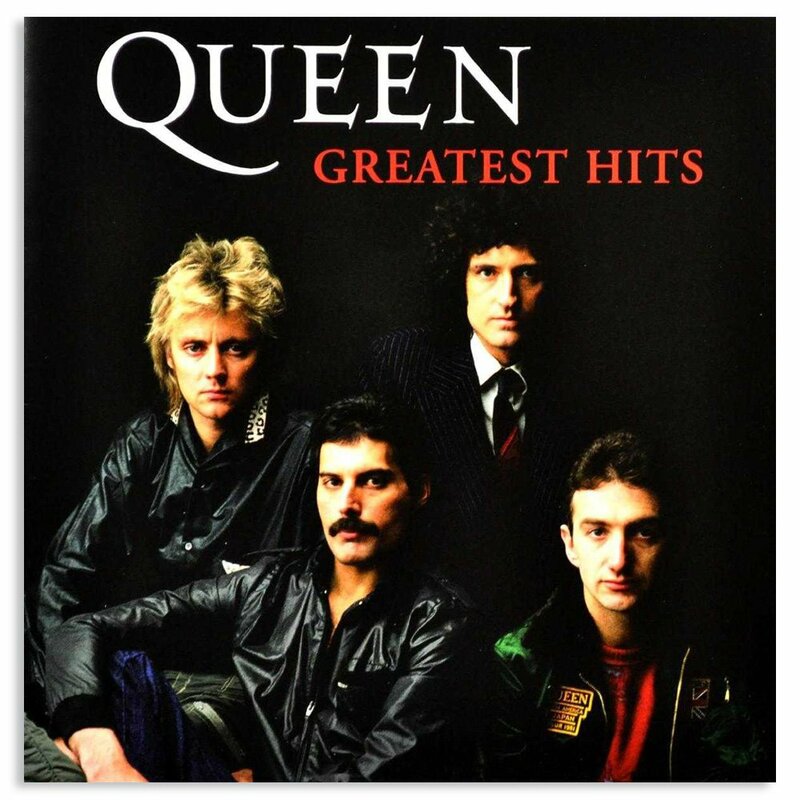 A poll suggests that Queen’s Bohemian Rhapsody is a good song for people to listen to if they feel unwell or down. Dancing Queen by Abba came second, with Happy by Pharrell Williams in joint third with “classical music” generally. Nearly 90% of respondents agreed that listening to music can make people feel better when they are sick or facing difficult times. Faith in the World Week, which runs until November 2, is examining how music can change and shape people’s lives. Asked to select specific music, almost 30% of men choose Bohemian Rhapsody from the list provided. Fewer women – 23% – put it first, with 28% naming Dancing Queen. Only 16% of men opted for the Abba track. Among the over-65s, classical music made more of an impression, with 39% saying they wanted to listen to it when they’re ill or down. 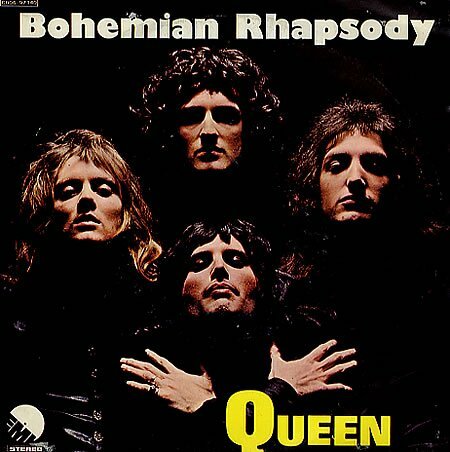 Bohemian Rhapsody is taken from Queen’s A Night at the Opera album. Queen said they regarded the track as a showcase of their technical skill and the song encompasses several musical styles. 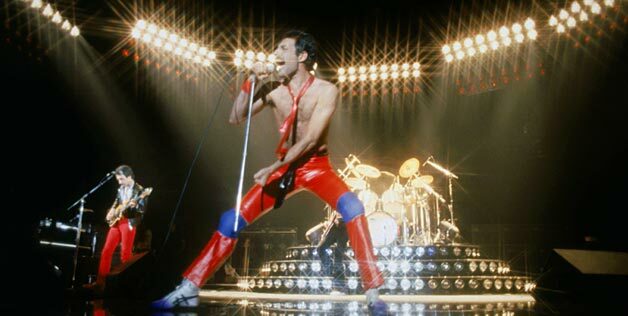 Although Bohemian Rhapsody topped the poll for its apparent cheering and soothing effects, its subject matter is a man’s confession to a murder. 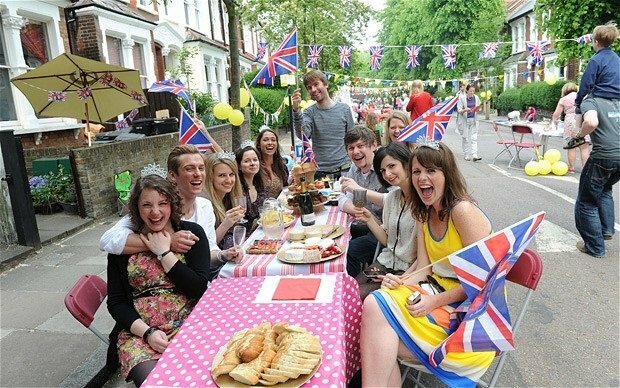 Celebrate The Queen’s Diamond Jubilee in London with your neighbors by hosting a Big Jubilee Lunch. The Big Lunch is an annual nationwide event which encourages people across the UK to enjoy lunch with their neighbors. This year The Big Lunch falls on the same weekend as The Queen’s Diamond Jubilee celebrations, which is a four-day Bank Holiday weekend. So dust off the bunting and Union Jack flags from the Royal Wedding and enjoy a lunch fit for The Queen! All you have to do is gather together your neighbors and choose what kind of an event you want – from a small gathering raising money for charity to a full-blown street party with music and a barbeque. Every year since it began in 2009, The Big Lunch has been enjoyed by more than a million people, and this year’s special Big Jubilee Lunch is likely to attract even more participants. If you want to get involved and set up your own local event, follow the “10 Steps to Organizing a Big Lunch Guide” on the Big Lunch website. You can also request a Big Jubilee Lunch pack, containing advice as well as posters, leaflets and recipes. Alternatively, you may wish to consider watching events on one of the many BBC Big Screens around the UK. For information about the Official Diamond Jubilee Souvenir Programme click here. The Big Jubilee Lunch: Building on the already popular Big Lunch initiative, people will be encouraged to share lunch with neighbours and friends as part of the Diamond Jubilee celebrations. This may take the form of a traditional street party or a picnic lunch in small or larger groups. This event is being organised by the Big Lunch. Find out more. 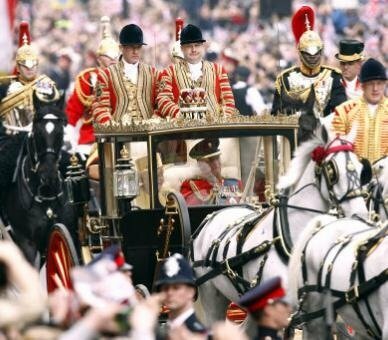 On Tuesday 5 June, the Diamond Jubilee weekend will culminate with a day of celebrations in central London, including a service at St Paul’s Cathedral followed by two receptions, a lunch at Westminster Hall, a Carriage Procession to Buckingham Palace and finally a Balcony appearance, Flypast, and Feu de Joie. Find out more. 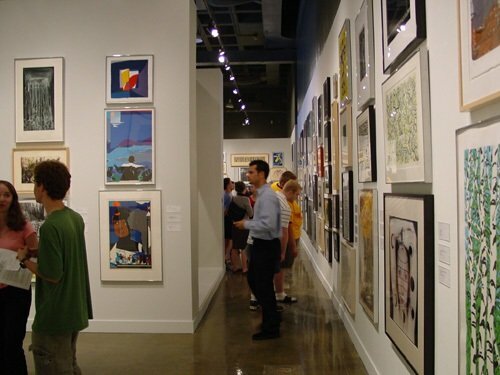 Don’t miss out on the best London exhibitions! Catch one of these great London exhibitions as chosen by our editorial team. What is Her Majesty’s Diamond Jubilee? When exactly is The Queen marking her Diamond Jubilee? While Accession Day is on 6 February, celebrations will occur throughout 2012, with a special extended bank holiday central weekend in the United Kingdom on 2-5 June. What events will take place over this bank holiday central weekend? Will there be events at other times during the year? There will be many other events held locally and on a national scale. For example, in May 2012 a Diamond Jubilee Pageant will be held, as part of the Windsor Horse Show, involving equine displays and other acts from around the world. For more information and news on Jubilee events and activities, please visit www.direct.gov.uk/diamondjubilee or see national and local media as further details are announced. I would like to organise an event in my local area. Whom do I contact? People should make contact with the appropriate organisations or representatives – for example, one of the organisations involved with the central weekend, Lord Lieutenancies and local authorities. 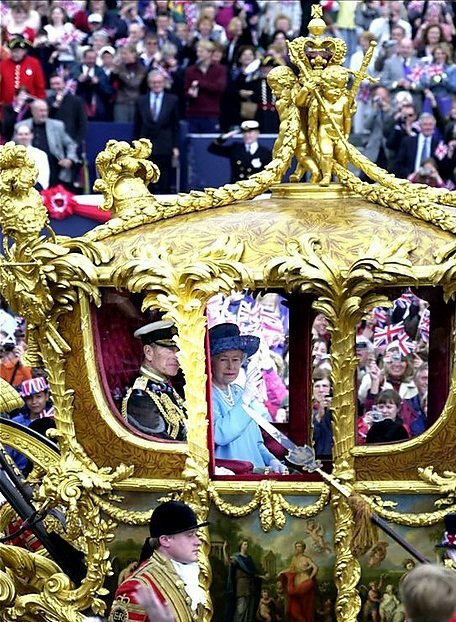 Will Her Majesty’s Diamond Jubilee be marked in other Realm countries? Her Majesty is Queen in 15 Commonwealth Realms in addition to the United Kingdom. The British Monarchy and UK Government websites will carry details only for those events and celebrations taking place in the United Kingdom. More details will be available elsewhere about activities taking place in Her Majesty’s other Realms. I would like to organise a street party or Big Jubilee Lunch. Who should I contact for more information? From where can I watch the Pageant? Details about where spectators can view the Pageant will be announced by the organisers in due course. Please see http://www.thamesdiamondjubileepageant.org/ for more details. Can I register a vessel to take part? Boat registrations closed on 31 October 2011. Please see http://www.thamesdiamondjubileepageant.org/ for more details. Can I get tickets to be on a boat sailing in the flotilla? Further details about the Pageant will be announced on the Thames Diamond Jubilee Pageant website in due course. The Queen is hosting a concert organised by the BBC at Buckingham Palace on Monday 4 June. Can I apply for tickets? Details of how to apply for an invitation to the Concert will be announced in early 2012. Successful applicants, chosen by ballot, will be notified in writing. Can I perform during the concert? The content of the concert will be decided by the BBC. Can I light a Beacon? When will the Beacons be lit? The Queen will light the National Beacon on Monday 4 June. Further details about the lighting of Beacons will be announced by Diamond Jubilee Beacons Ltd.
Will there be a ceremonial procession to or from the Service of Thanksgiving, and if so, from where can I watch it? 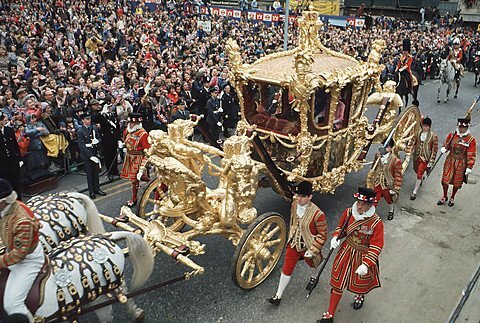 There will be a formal carriage procession but details of the routes to and from the Service of Thanksgiving at St. Paul’s Cathedral will be announced closer to the time and published on the Monarchy website. Can I produce Diamond Jubilee Souvenirs? The Lord Chamberlain’s Office at Buckingham Palace produces definitive guidelines on the use of the Royal Arms, Royal Devices, Emblems and Titles and of photographs, portraits, engravings, effigies and busts of The Queen and Members of the Royal Family. Where can I find the Official Diamond Jubilee Emblem? The Official Diamond Jubilee Emblem is based on an illustration by 10 year-old Katherine Dewar who won a BBC Blue Peter competition. It is available to download, free of charge from the Monarchy website and comes in a number of electronic formats; in English and in Welsh; and in colour, black and white and whiteout. Where can I use the Emblem? The emblem is available for use for activities associated with the Diamond Jubilee celebrations including community and national events, publications, retail and merchandising. As you would expect, the Royal Household takes seriously any reports of individuals or organisations using the Jubilee to raise money in an inappropriate or unauthorised manner. If you are invited to donate money to “official publications”, please write to The Queen’s Assistant Private Secretary, at Buckingham Palace, London SW1A 1AA. Can I name something after The Queen or the Diamond Jubilee? As is customary in Jubilee years, the Deputy Prime Minister and the First Ministers of Scotland and Wales have been given discretion to sanction the use of The Queen’s title and name. A blanket approval is in place for the use of “Diamond Jubilee” and “Jubilee” for community events and buildings (subject to the proviso that building works start or finish in 2012, and events take place in 2012). Permission need not be sought for the use of the titles “Diamond Jubilee” and “Jubilee” in these circumstances. Applications to use “The Queen’s Diamond Jubilee”, “Queen Elizabeth II’s Diamond Jubilee” and “Queen Elizabeth’s Diamond Jubilee” must be submitted in writing. Applications in respect of England, Northern Ireland or any of the Crown Dependencies – Parliament and Constitution Division of the Cabinet Office; applications in respect of Scotland or Wales where responsibility for the subject of the application remains with the UK Government – to the Scotland Office and Wales Office respectively. 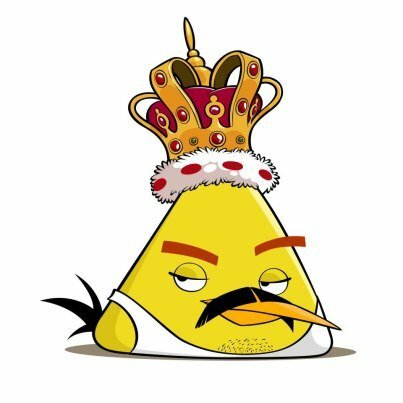 Can I use an image of the Crown or The Queen’s Cypher (EIIR) for my Jubilee event/project? Applications to use an image of the Crown, The Queen’s Cypher (EIIR) or Her Majesty’s Coat of Arms must be submitted to the Constitutional and Policy team in the Parliament and Constitution Division of the Cabinet Office. Will The Queen or other Members of the Royal Family be visiting my local area in 2012? The Queen’s Programme and details of where other Members of the Royal Family will visit will be announced in 2012. Please continue to check the Monarchy website for updates. I would like to invite The Queen to my Diamond Jubilee event. How do I do this? The Queen will be extraordinarily busy during her Diamond Jubilee and it will not be possible for her to accept all of the many invitations she will receive. However, if you wish to invite Her Majesty to an event please write to The Queen’s Diary Secretary at Buckingham Palace, London SW1A 1AA. I would like to compose a piece of music for The Queen for her Diamond Jubilee. 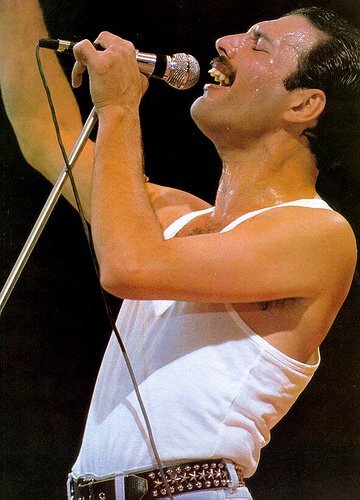 Can I perform or dedicate it to Her Majesty? 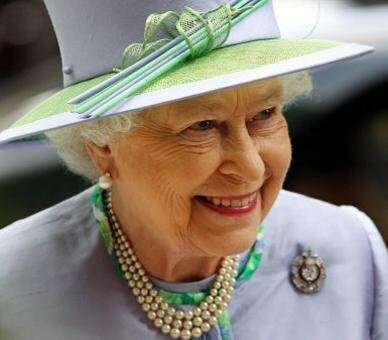 We have been overwhelmed by generous offers to compose or perform pieces of music in celebration of Her Majesty’s Jubilee next year and while there would of course be no objection to musical events of this nature taking place, it will not be possible to associate The Queen directly with these events. How do I find out more information about Diamond Jubilee projects and events between now and next year? For those events listed above and taking place over the Jubilee central weekend, please see their individual websites for more details as they are announced. Alternatively, the Government DirectGov website will be updated with further news and announcements as they occur. American Express celebrates Abbey Road Studios 80th anniversary with “Symphony at The Park” this weekend. Two singularly themed symphonic concerts will honour and will emphasize the chronicle of the famous Abbey Road Studios. West London’s Chiswick House and Gardens with its idyllic surroundings hosts these majestic performances. New and classic rock, pop and epic film scores will be performed. [googlead tip=”lista_mica” aliniat=”stanga”]Royal Philharmonic Orchestra (eighty-six pieces), Crouch End Festival Chorus (forty singers) and guest instrumentalists will play modern songs and film scores. The Beatles, Oasis, Pink Floyd’s songs will be performed along with scores from Star Wars, Harry Potter. The concert premiere of Disney’s Peter Pan sequel “Return to Neverland” will be also interpreted. All of these are the Abbey Road Studios outstanding eighty years legacy. On Saturday, August 20, The Beatles, Elbow, Elgar, The Hollies, Kate Bush, Oasis, Pink Floyd, Queen, Radiohead’s anthems symphonic versions will be played. On Sunday August 21 programme consists in film orchestral arrangements recorded at Abbey Road. Richard Strauss’ symphonic poem Also sprach Zarathustra used in “2001: A Space Odyssey”, John Williams’ compositions for “Star Wars”, “Raiders of the Lost Ark” and for “Harry Potter”, Danny Elfman’s musical creation for “Batman” will charme the attendees. Also another iconic film scores will be played for the audience: Howard Shore’s music for “The Lord of the Rings”, James Horner’s “Braveheart”, Jerry Goldsmith score for “Star Trek: The Motion Picture”. The visitors who will come to see these concerts at the historic Chiswick House and Gardens are invited to bring their own picnic and rug. Also they can upgrade to a VIP Package. Gramophone Company founded Abbey Road Studios in November 1931, later on British music company EMI Records Limited became its owner. In the 1960s Badfinger,The Beatles, Pink Floyd’s innovative recording techniques has been hosted by these famous studios. In 2010 the studios received historic site status from the British government.